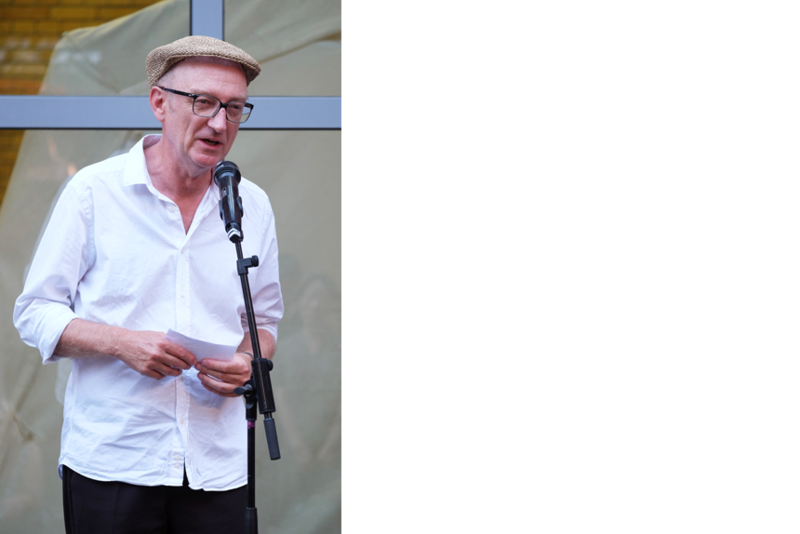 "Light for Art and Culture"
Curator Eduard Kögel will give an introduction to the exhibited projects. 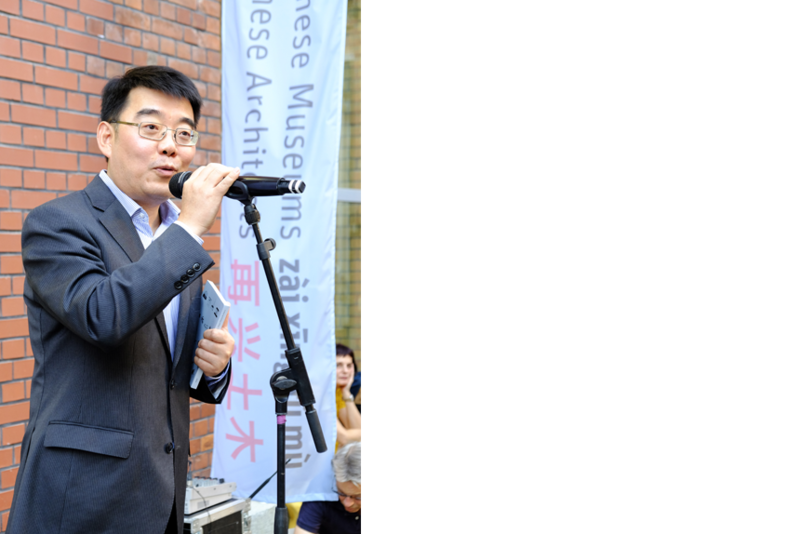 Qilan Shen, art critic and curator from Shanghai, will speak about the challenges of the Chinese museums and how this compares with the German museum landscape. An Aedes catalogue will be published for the exhibition. It is a great pleasure to announce “Zài Xīng Tǔ Mù. 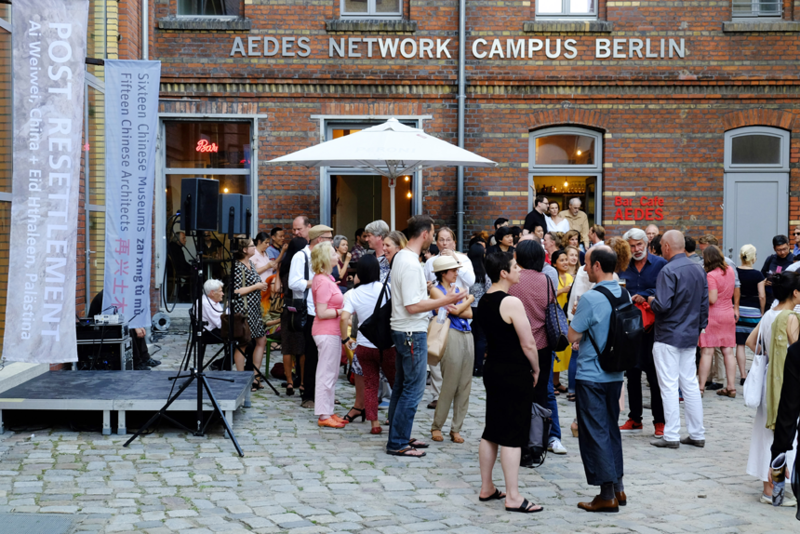 Sixteen Chinese Museums, Fifteen Chinese Architects“ to be opened in August at Aedes in Berlin. 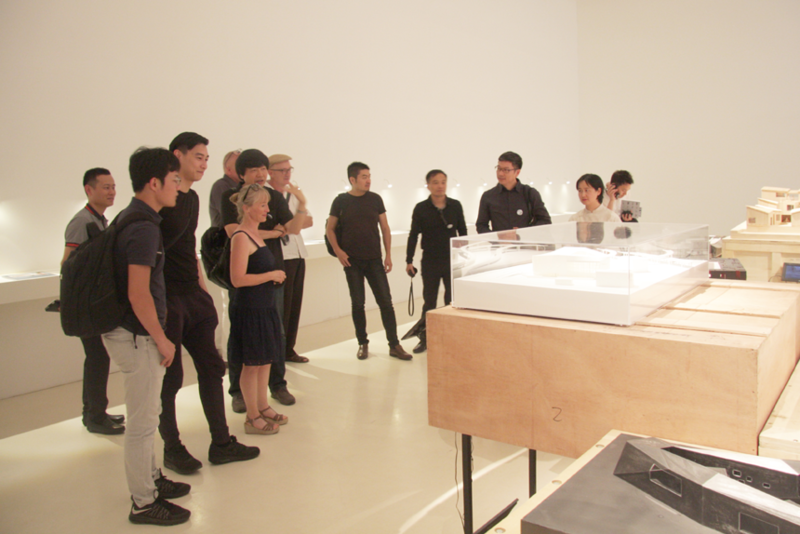 After the exhibition “TU-MU”, which presented the first generation of independent architects from China 15 years ago, first in Berlin and later in Shanghai and thus bringing them to international attention and acknowledgement, Aedes will now continue the cultural dialogue on architecture and urbanism with a specific focus on museums. the associated tasks and aims of museums and cultural spaces, against the backdrop of the global, digital, urban and demographic challenges of the 21st Century, as well as the more locally-specific concerns of heritage and identity. Taking each of sixteen museums as case studies, the exhibition focuses on a set of crucial questions. How is local and national identity defined by the museum design and curation? 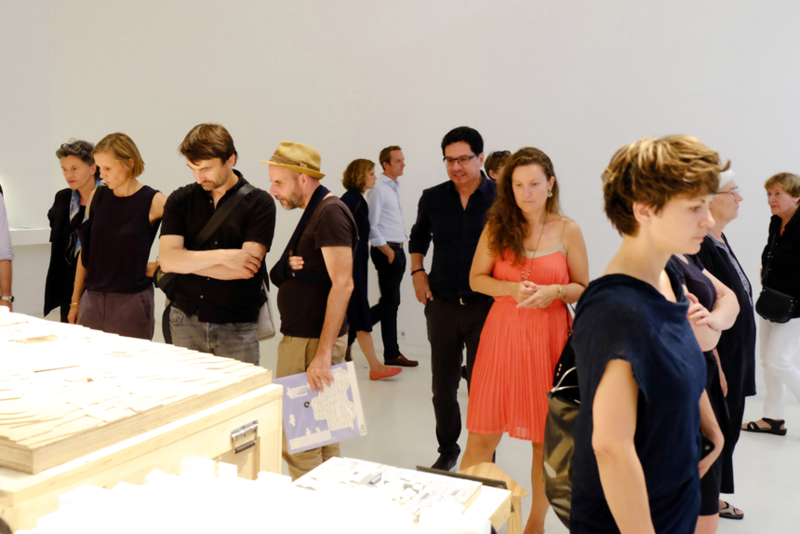 How does the museum function within the context of its local social and urban environment? Which form or shape was identified as being most suitable for the museum’s function and its context? A bubbling global art market, accompanied by diminishing public support for cultural institutions has created a much–debated increase in public–private partnerships and a growing influence of private patrons in the cultural scene. Conversely, well-funded large institutions relate an increasing need for the representation of their respective cultural identities. Of the sixteen museums on show, fifteen were designed by architects either as new or converted buildings. The additional example, the New Workers Museum in Beijing, grew out of an NGO initiative implemented in a former industrial plant in a village outside of Beijing, and is a remarkable example of architecture created without architects and reflects the urgency to discuss issues of societal identity. The selected projects were chosen not alone for their formal novelty. 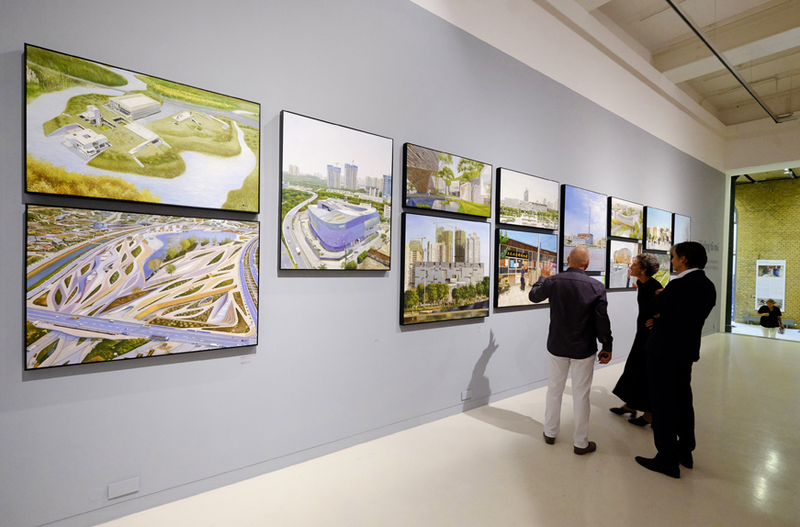 They are also representative of certain aspects in current museum development that allow discussion of societal relevance, or impact on surrounding urban and rural contexts. 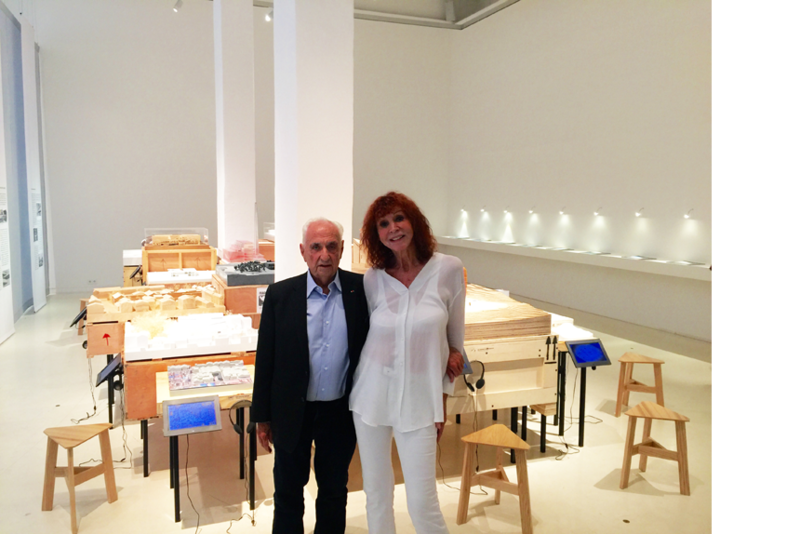 Each architect shows one important museum project. 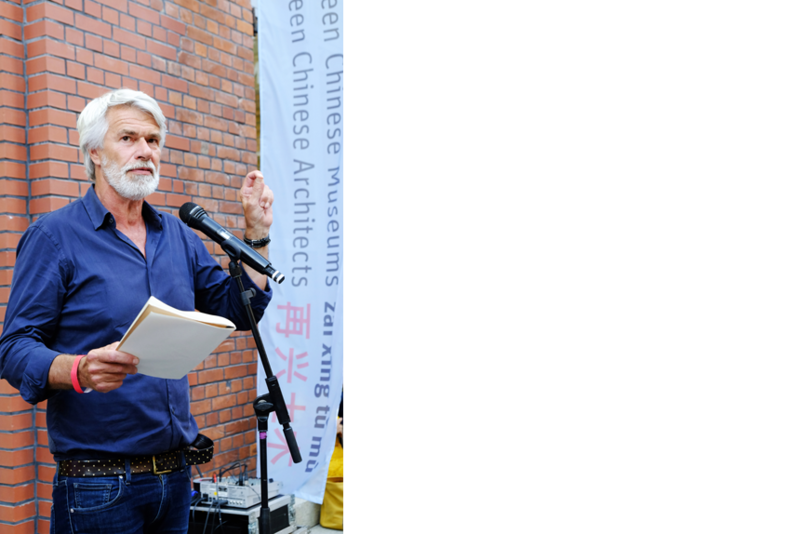 Supporting information is included in videos from architects, artists, curators and collectors involved, about the urban context, the brief and the difficulties of implementing a museum in the China of today. This allows a unique insight into the challenges for the professionals involved, while also offering a new understanding of cultural production and public engagement. China represents an outstanding example of a new ‘museum boom’, discussed intensely in Western and Chinese media. The sheer number of new projects in China is overwhelming, and international visitors as well as local inhabitants wonder about the long-term effects on society and public urban space. 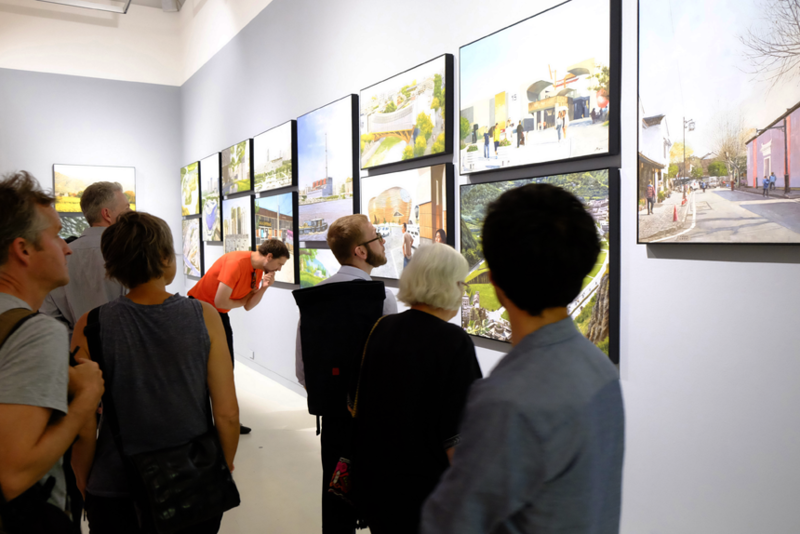 The rapid urbanisation of China over the past thirty years has shaped new societal needs that informed the emergence of new building typologies, which in turn address issues of identity, change and memory. Against this context, the roles and programmes of new museums are crucial, even if not always fully clear in the beginning; they reflect a demand for deeper cultural roots by a new, dramatically risen middle class. Thus, these recent museum buildings can serve hybrid purposes and are often in search of their role in city and society. Today, more than 3,500 museums in China are open to the public, most of them financed by the government. Additionally, private collectors or commercial firms have established approximately 500 museums to display their collections. 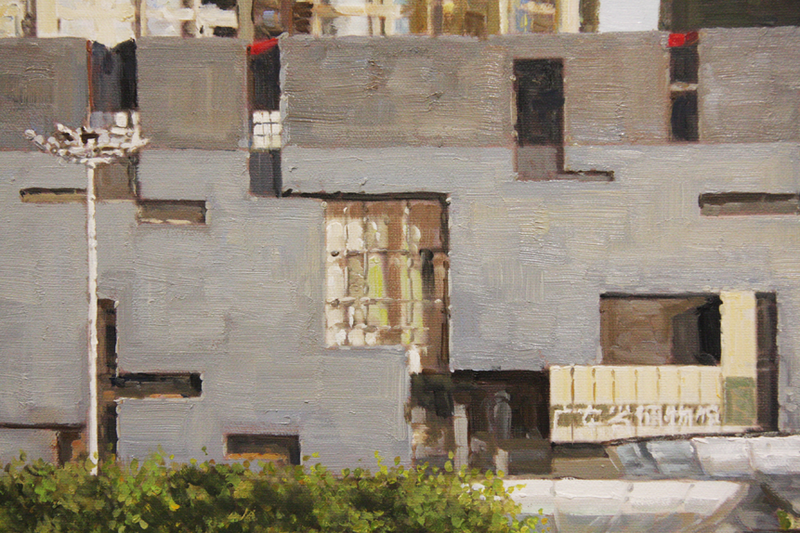 • Instead of showcasing photographs of the museums, ANCB commissioned professional painter Yiming Liao from Dafen Village in Shenzhen to interpret the buildings in their urban or rural environment. 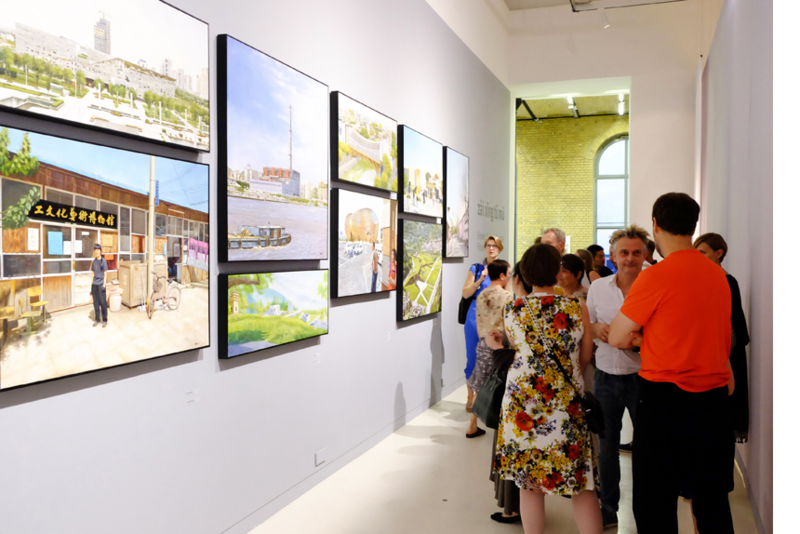 The resulting oil paintings will be presented in a traditional, museum–style layout, together with a selection of models for each project. 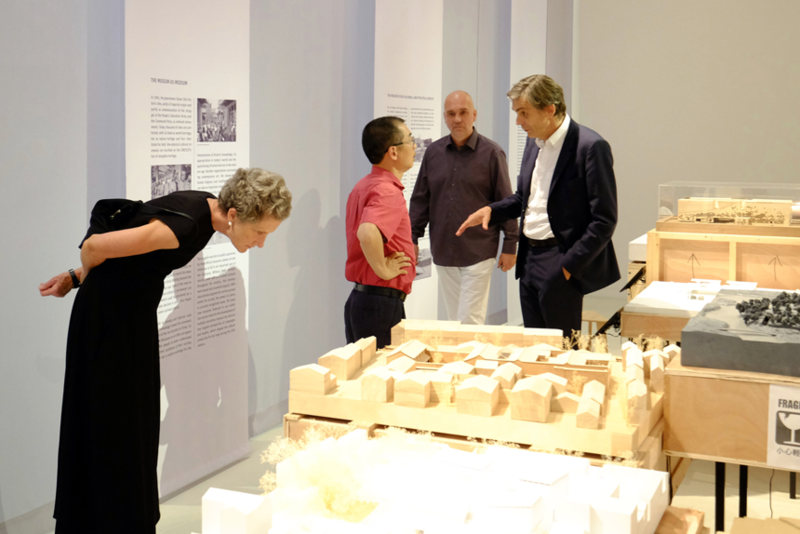 • Video interviews with the museum architects, as well as representatives from the fields of arts and culture, provide insights into contemporary approaches to museum-making and its connection to societal and urban development in China. • Written observations, research and analyses edited by Eduard Kögel, provide multiple perspectives on the subject material. 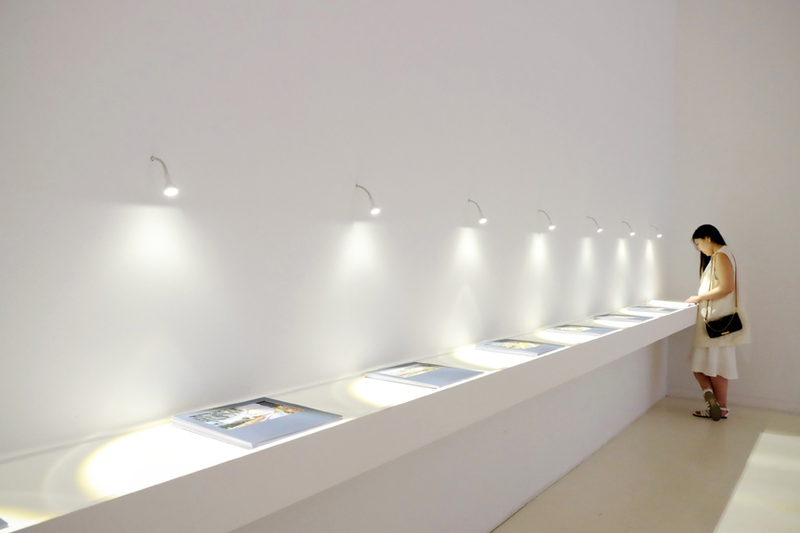 The exhibition will be accompanied by an Aedes catalogue. 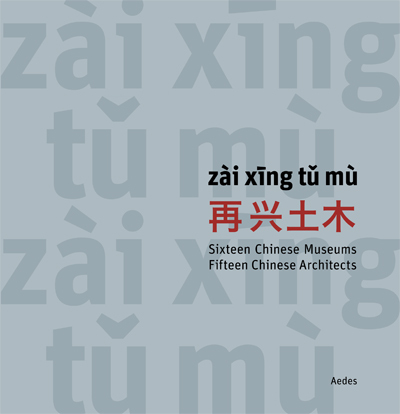 In 2001, the Aedes exhibition ‘TU-MU – Young Architecture of China’ showcased Yung Ho Chang, Liu Jiakun, Ma Qing-yun, Wang Shu, Zhang Lei, Ding Wowo, Wang Jun-Yang, Zhu Jingxiang and Ai Weiwei – most of them for the first time outside of China. Since then, Wang Shu has received the Pritzker Prize, Yung Ho Chang has become Dean at the School of Architecture at MIT, Ma Qingyun has been appointed to the same position at USC in Los Angeles and Ai Weiwei, whose first exhibition in Germany was at Aedes, is now an artist of international fame. Liu Jiakun, Zhang Lei and the other participants have become highly respected architects and teachers in China and abroad. 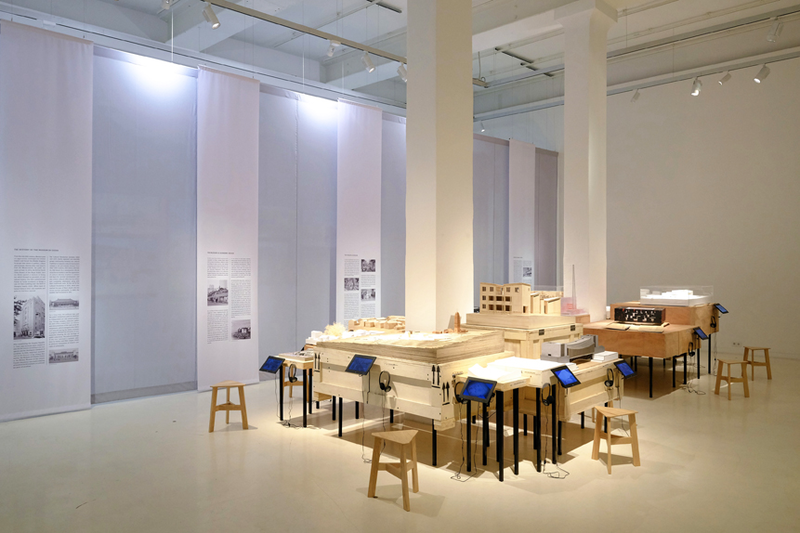 Aedes’s TU-MU exhibition sparked an unexpected, intense and controversial discussion in China on architecture, building culture, identity, tradition and modernity. Today TU-MU is a synonym for a distinct self-confidence and independence in Chinese contemporary architecture. 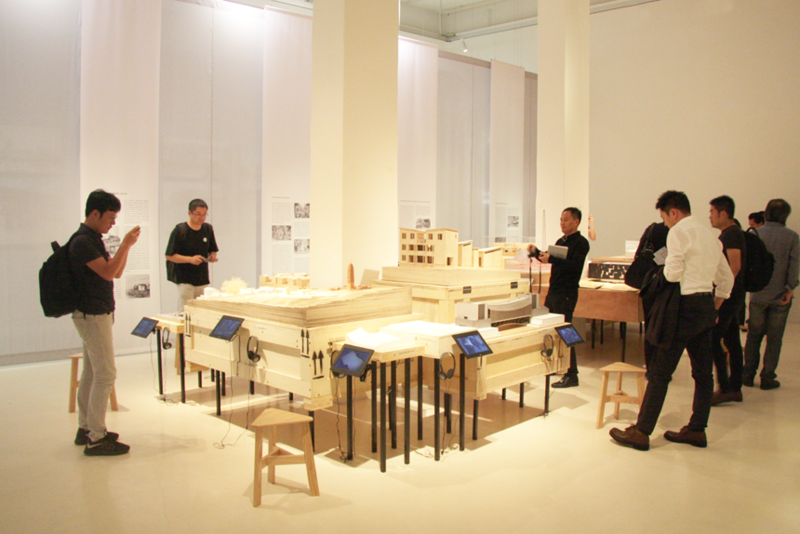 Over the past decade, Aedes has followed up on the development in Chinese architecture with exhibitions on individual architects and their respective approaches. 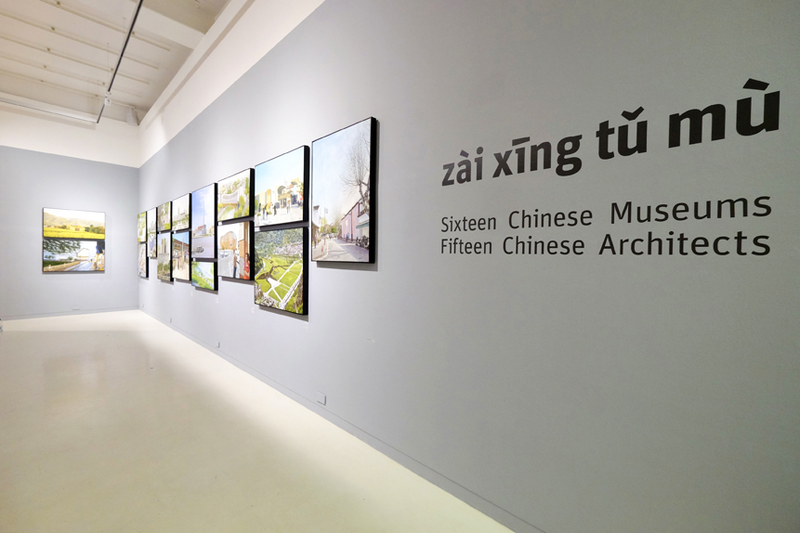 Now, ANCB The Aedes Metropolitan Laboratory has curated another collection of works by Chinese architects on a very specific and globally discussed topic – the museum! 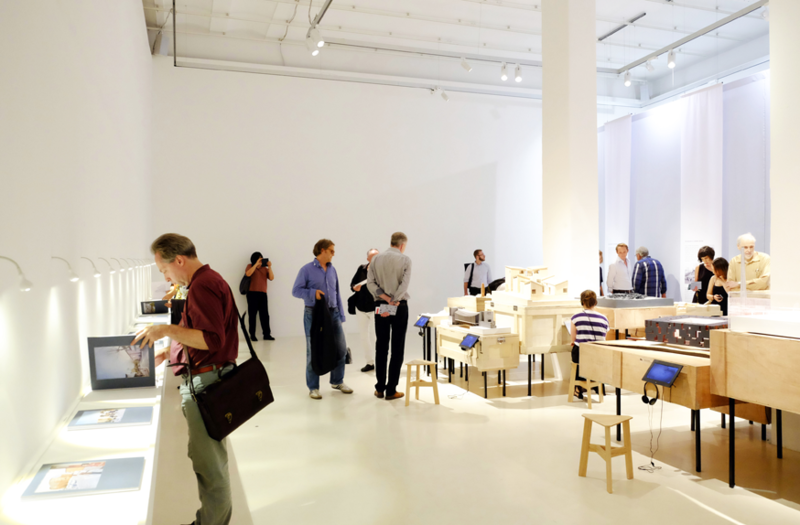 By showcasing this new unique compilation of museums, which was made possible in collaboration with Research Partner Zumtobel, ANCB launches the first exhibition of a continuous series. Over the next three years, the programme ‘The Museum of the 21st Century’ will initiate a critical international discourse on the role of the museum in this globalised, brand-oriented and digital age with regard to current socio-political, urban and cultural contexts. The Ningbo History Museum, designed by an amateur architecture studio (WANG Shu / LU Wenyu) from Hangzhou, resulted from a competition and was built between 2003 and 2008 in the Yinzhou district in Ningbo. The façade of reused bricks and tiles from demolished nearby villages is the distinctive feature of the museum. Visitors and locals see the building as a reminder of a vanished history, sacrificed in the name of progress. The Ordos City and Art Museum, designed by MAD Architects (MA Yansong / DANG Qun / Yosuke HAYANO) from Beijing, is located in the administrative centre of Kangbashi New Town in Ordos in Inner Mongolia. Kangbashi was developed as a huge urbanisation project that is not very populated yet and is sometimes called the biggest ghost town in China. The radical organic design of the museum resembles the sand dunes of the desert that previously covered the area. Due to the lack of inhabitants, the new museum is still waiting to unfold its purpose. The Power Station of Art in Shanghai, designed by local architects Original Design Studio (ZHANG Ming / ZHANG Zi), houses the first state-run museum of contemporary art in China. The building is a reused power station at the Huangpu River and belongs to the new cultural axis of West Bund in Shanghai. 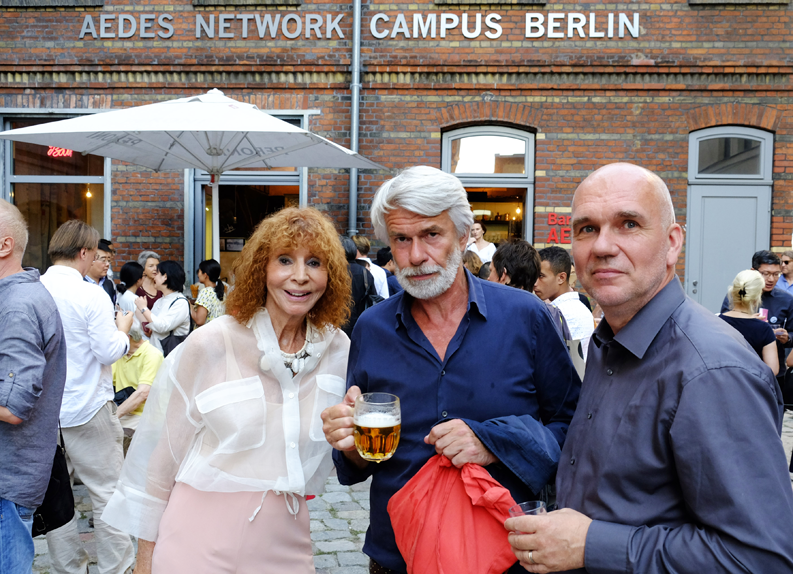 Through an international programme and without a permanent collection, the museum acts as an open discourse platform with a significant role in education and the negotiation of contemporary art production. The Guangdong Museum in Guangzhou, designed by Rocco Design Architects (Rocco Yim) from Hong Kong, is located in the new city centre opposite the opera house by Zaha Hadid Architects. Rocco Design won the international competition in 2004 and the building was finished in 2010. Ancient treasure boxes inspired the spatial arrangement while the interior also reflects a translucent layering of traditional Chinese architecture in a contemporary way. The Long Museum at West Bund in Shanghai, designed by Atelier Deshaus (Liu Yichun / Chen Yifeng) from Shanghai, was commissioned by the government and holds the private art collection of Liu Yiqian and his wife Wang Wei. The museum opened in 2014 and was built on an existing two-storey underground car park and around an old coal-unloading bridge at the Huangpu River. The umbrellalike vaulted concrete construction shapes the building’s distinctive appearance. The Artron Art Centre in Shenzhen was designed by urbanus (MENG Yan / WANG Hui / LIU Xiadu) from Beijing and Shenzhen. The centre is located at the city’s edge and is surrounded by three highways; therefore, the compact form was developed as protection against the noisy, chaotic environment. Combining different functions like a printing factory, an office and a roof sky-garden with the art centre, the mixed-use-programme is a new approach to add value to an otherwise completely private production facility. The New Workers Museum in Picun Village in Beijing, organised and operated by an NGO, was initiated in 2008 and is located in a village with a mainly working-class population. The new workers, often called the ‘floating population’, have only limited access to the amenities of urban life. The NGO set up the museum for education purposes with the help of donations by the workers and the support of OXFAM Hong Kong, the Cultural Bureau of Beijing Municipality, and the Village Committee of Picun. The permanent collection focuses on the life of the migrant workers, their achievements as well as their struggles with employers and the administration. The Xiao Hui Wang Art Museum in Suzhou, designed by artist Xiao Hui WANG and EXH Design (ZHANG Xi / Erich DISERENS) from Shanghai, has been serving as a showcase facility for the artist since 2012. The architects transformed the old courtyard building in cooperation with the artist by keeping the general layout and adding the necessary technical improvements. To highlight the new location, the architects fixed a metal mesh across the front façade, which is backlit during the night. The famous artist Huang Yongyu initiated the Jishou Art Museum Bridge in Jishou in Hunan province. Atelier Feichang Jianzhu (Yung Ho CHANG) from Beijing seized the opportunity to identify a location and proposed a footbridge across the local river within the traditional urban fabric. The museum bridge is a reference to traditional covered footbridges and accommodates all exhibition spaces above the pedestrian circulation. The construction is scheduled to start in 2016 and will finish in 2018. The Xiao Feng Art Museum in Hangzhou in Zhejiang province resulted from a competition won by ZAO/standardarchitecture (ZHANG Ke) from Beijing. The museum is dedicated to the artist Xiao Feng, a famous socialist realist. 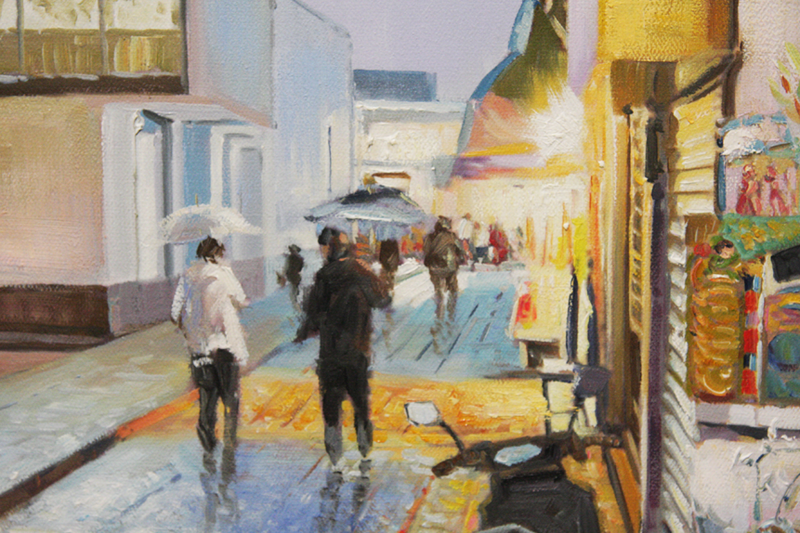 He worked from the 1960s onwards and was also a professor at the China Art Academy in Hangzhou. The organic building in the landscape adds a new destination to the wider area of the West Lake. The museum is in the planning process. 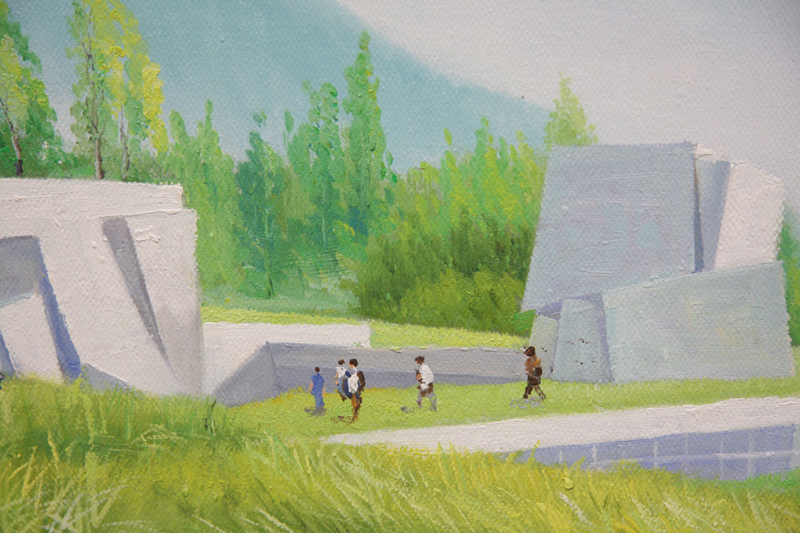 The National Earthquake Memorial and Museum in Beichuan in Sichuan province, designed by CAI Yongjie from Tongji University Shanghai, was commissioned through a competition. The site covers the ruins of the Beichuan Middle School, where many pupils lost their lives during the 2008 earthquake. 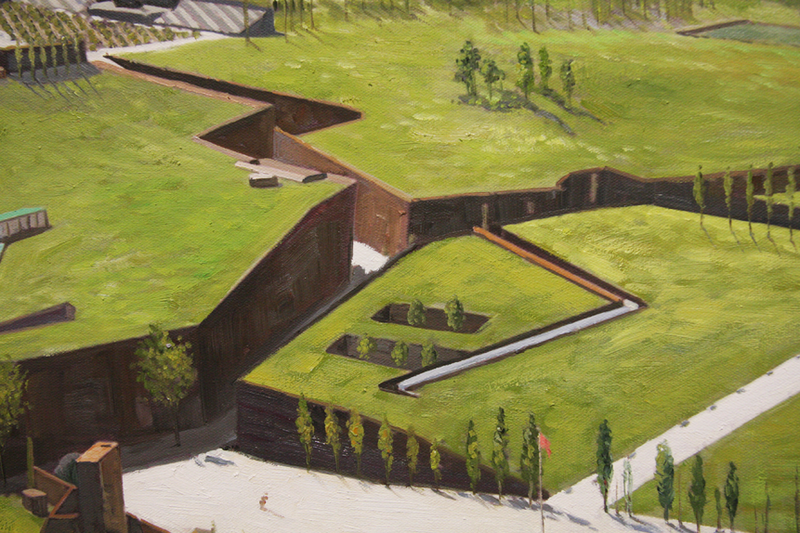 Embedded into the landscape, the museum and the memorial reflect and remind us of the power of natural forces. The construction finished in 2013. The Zhujiajiao Museum of Humanities & Arts, designed by Scenic Architecture (ZHU Xiaofeng) from Shanghai, is located in the old water town Zhujiajiao near Shanghai. 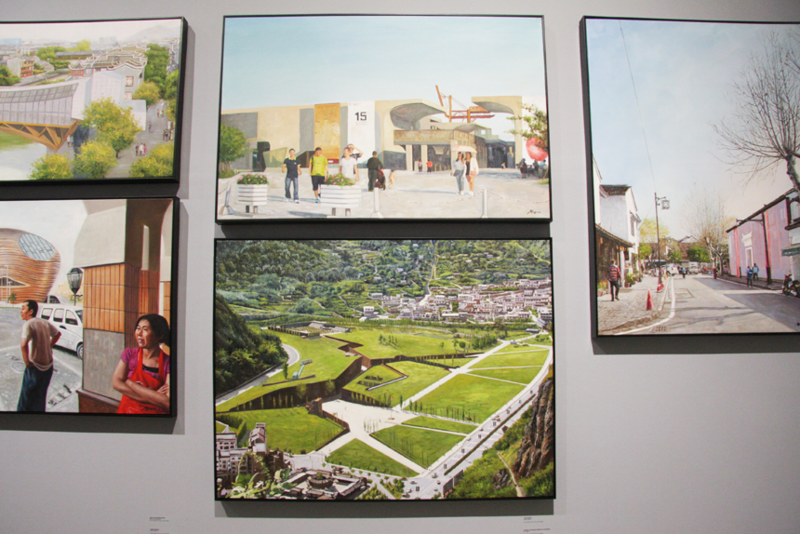 The new museum, next to two more than 470-year-old ginkgo trees, is dedicated to paintings and other works of art related to the history of the town and opened in 2010. The Museum of Handcraft Paper, designed by Trace Architecture Office (HUA Li) from Beijing, is located in the Gaoligong area in Yunnan province. 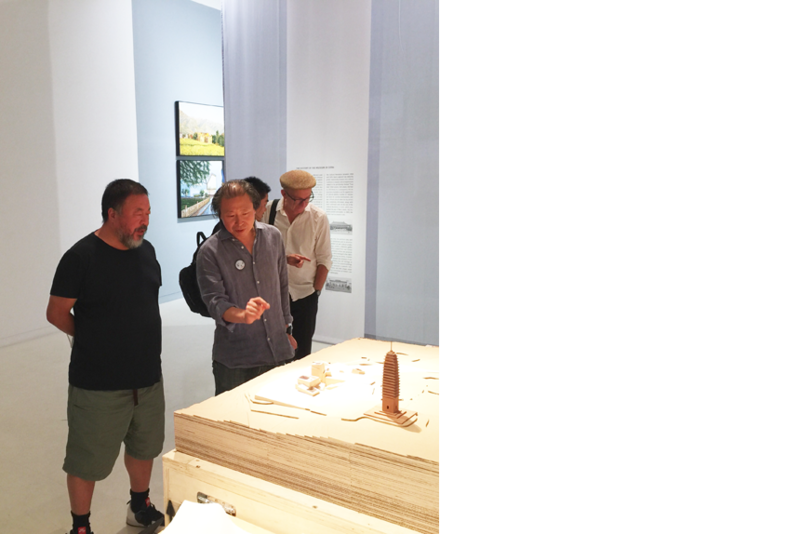 Using local craftsman and traditional materials such as timber, bamboo and handcraft paper, the new museum is conceived like a micro-village where the tradition of papermaking is kept alive. The museum opened in 2010. The Dali Museum of Contemporary Art, designed by Studio Pei-Zhu (ZHU Pei) from Beijing, is located in Dali in Yunnan province. The site is an abandoned temple with a pagoda from the tenth century. With respect to the traditional temple buildings, the new museum is mostly underground while only smaller elements for natural lighting appear above ground. The museum is under construction. LI Hongyu) from Beijing, was the venue of the International Horticultural Exposition 2014 in Qingdao in Shandong province. The buildings are integrated in the surrounding landscape and have become a part of it. The expo showground is still accessible, but the buildings await a future use. The Intangible Cultural Heritage Museum, designed by Vector Architects (GONG Dong) from Beijing, will be part of the Horticultural Exposition at Taihu Lake near Suzhou in Jiangsu province in 2016. Organized around courtyards and covered by the landscape within a precious wetland, the museum will offer recreational and touristic uses after the expo. The last thirty years have seen an unparalleled rise of new museum buildings all over the world with many more being planned right now. Next to the important role of conservation, presentation or discussion of cultural values, museums act locally as social centres for education and citizenship. 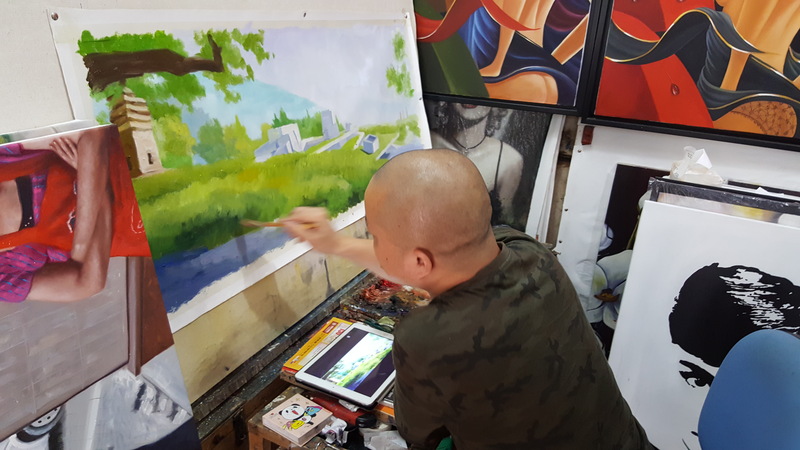 At the same time, their impact is growing from national to global scale, aiming to attract mass audiences, representing the driving force for urban development or functioning as incubator for the art business. In turn, the value of culture itself is in need of a clarifying debate. There is a new focus on the role of the museum as one of cultural ‘storytelling’ and situating that story in the context of a physical place while integrating the co-production of artworks and history by the audience. A special emphasis in the programme is placed on the museum within the context of its local environment; the city and the region. Central questions include: Who and what defines the content, shape and impact of museums and to what purpose? What functions do museums have today? 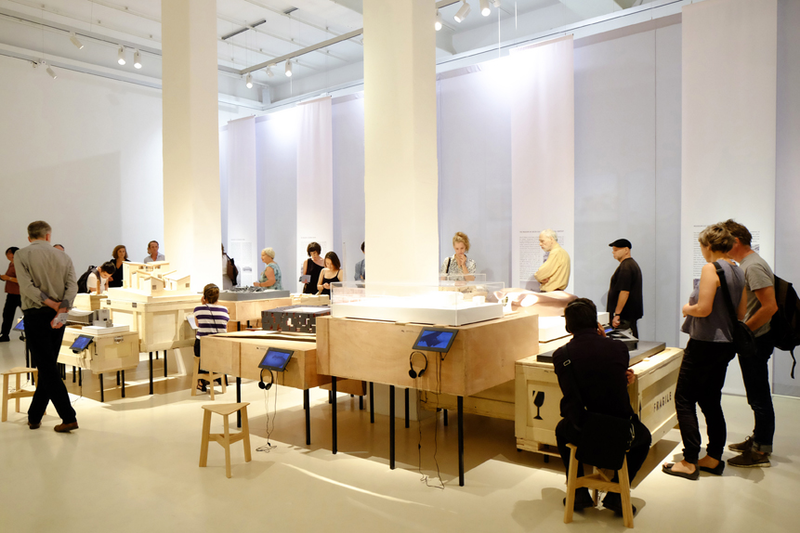 How can architects and curators, educators, artists and policy-makers design the tasks of these new institutions and reach the citizens, satisfy cultural and economic demands and connect them with design? 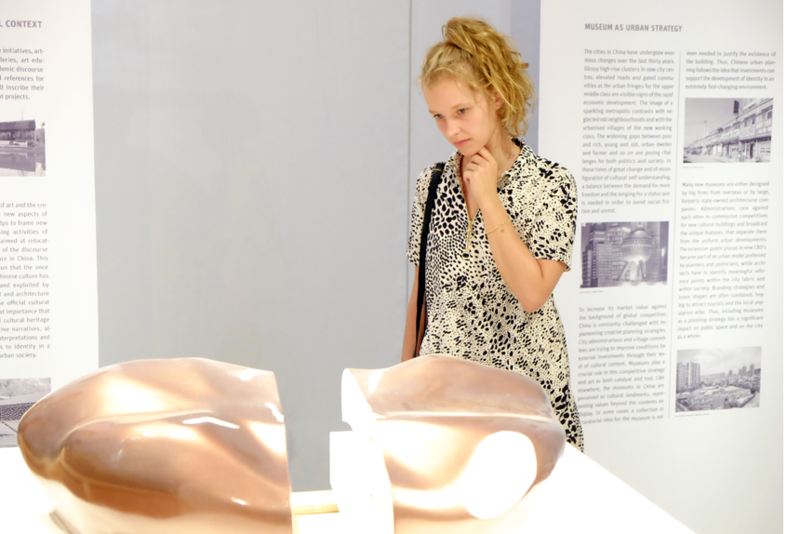 The ANCB’s Museum of the 21st Century programme will reflect upon these and more questions in various formats, such as exhibitions, symposia, lectures and workshops over the next three years. An Aedes catalogue has been published.